I'm self-employed...what retirement plan options do I have? As a self-employed person, you have many of the same options as employees in regards to tax-deferred retirement plans. Below is a list of retirement plans to consider. Disclaimer: This list is not exhaustive, but represents the most often-used, simplest options. This list is intended to provide basic information. 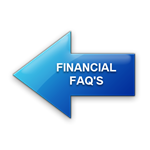 Check with your financial advisor for rules and regulations as they apply to each. Figures represent 2018 tax year information. You’ll want to consider each of the above in combination with regular retirement plans, such as employee 401k’s, Traditional IRA’s, and Roth IRA’s.